STOLEN: Complete 77 kit, reported stolen from Normanton Golf Club around January 15th 2016.UPDATE: Some of the items have been recovered, albeit with severe damage. The other parts are still missing. Please keep your eyes open and report any details... Envelope: G-CILM, Cameron Z-77, CN 11877. Basket: Lindstrand LBL 105 basket, CN BA801 Burner: Lindstrand double Jetstream 2 burners, CN BU675 Tanks: Lindstrand LBL V30 cylinder with red cover, CN 733 Lindstrand LBL V30 cylinder with red cover, CN 734 Lindstrand LBL V30 cylinder with red cover, CN 735 Lindstrand LBL V30 cylinder with red cover, CN 736 Cameron CB599 cylinder with red cover, CN 2965-1502 Cameron CB599 cylinder with red cover, CN 2536-1145 Inflation fan: Lindstrand 8.0 HP inflation fan Trailer: Weymar twin axle balloon trailer (CN 222127/uun218) Other items: full tether kit, quick release, instruments If you have any information please contact Martin Axtell on +44 - (0) 778 - 6622802. STOLEN: Entire Lindstrand cloudhopper bottom end. Stolen following a landing at 17.50 on the 5th of October 2013 - on Bramshot Common, near Liphook, Hampshire, UK. The theft took place during the 25 minutes it took us to go to the guard room to get the key to unlock the security gate. There is no way any vehicle could have accessed the site, so it was lifted and carried - some considerable distance - probably by local yobs who possibly saw it as scrap value. They left the envelope bag there. Stolen parts are the bottom end (frame and seat, CN BA808), burner (CN BU936), Cameron CB426 tank (CN 0273/4606). 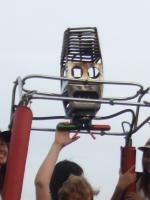 The balloon identification plate with registration G-CDAD is welded to the seat frame. Police report has been filled and the hope is that the bits might surface locally - or end up on Ebay. As there are only a few of these around, please help me by being vigilant. STOLEN: Cameron Shadow single burner and 5 HP Inflation fan. STOLEN: A brand new GPS Garmin Aera 500 has been stolen in Sint Niklaas, Belgium. SN 1QP004363. If you get offered this instrument, please contact Jan Thijs (details below) and your local police office. 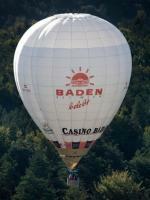 STOLEN: During the night from November the 13th to 14th 2010, the next balloon has been stolen from a locked industrial area in Vienna, Austria, together with 2 other balloons. One trailer has been stolen as well, the other balloons have been packed out of the trailers. Envelope:OE-ZAE, Cameron A-120, CN 2657. If you have any information about this theft, or if someone offers you any of this equipment, please contact Balloons4sale.eu through info@balloons4sale.eu. 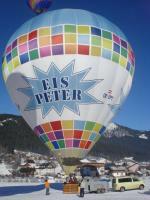 STOLEN: During the night from November the 13th to 14th 2010, the next balloon has been stolen from a locked industrial area in Vienna, Austria, together with 2 other balloons. One trailer has been stolen as well, the other balloons have been packed out of the trailers. Envelope:OE-ZAD, Schoen Ballon Neptun 2500, CN S-010/5/93. Basket:Thunder & Colt, Colt 65/77, CN unknown. 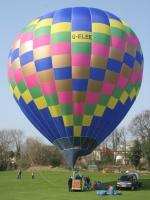 Burner:Cameron Balloons MK4 Super, CB579, CN S1425-S1426. Tanks: Cameron CB 599A 4075-2691, Cameron CB 599A 4075-2692, Cameron CB 599A 4075-2693, Cameron CB 599A 4920-3086, Cameron CB 599A 2085-2656. Fan:Unknown If you have any information about this theft, or if someone offers you any of this equipment, please contact Balloons4sale.eu through info@balloons4sale.eu. 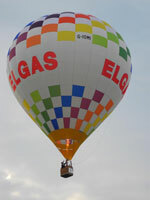 STOLEN: During the night from November the 13th to 14th 2010, the next balloon has been stolen from a locked industrial area in Vienna, Austria, together with 2 other balloons. One trailer has been stolen as well, the other balloons have been packed out of the trailers. Envelope:OE-ZPT, Schoen Ballon Neptun 4000, CN S-057/5/01. 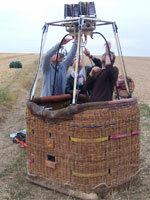 Basket:Cameron Balloons CB3132 IssE, CN BH1309. 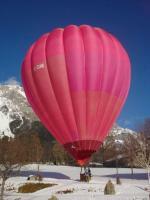 Burner:Cameron Balloons Sirocco Double CB2769/1, CN 0313/0349. Tanks: Cameron CB 426F 5740-3684, Cameron CB 426F 6003-3740, Cameron CB 959G 0731-5284, Cameron CB 959G 0731-5286, Cameron CB 426I 0730-5271, Cameron CB 426I 0877-5293. Fan:Unknown If you have any information about this theft, or if someone offers you any of this equipment, please contact Balloons4sale.eu through info@balloons4sale.eu. 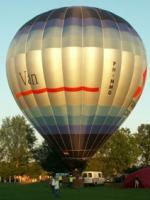 STOLEN: During the night from September the 21st to 22nd 2008, the next balloon has been stolen in the area of Utrecht, the Netherlands: Envelope:PH-MMG, Schroeder Fire Balloons G 45/24, CN 780.Basket:Cameron Balloons CB 303, CN BH634.Burner:Cameron Balloons CB 2075-2, CN B123 / B124. Tanks: Cameron CB 599 1731-5514, Cameron CB 599 1731-5516, Cameron CB 599G 1548-5455, Cameron CB 2088 0729-5253, Cameron CB 599 0729-5255.Fan:5.5 HP Honda inflation fan Until now, none of this equipment has been recovered. If you have any information about this theft, or if someone offers you any of this equipment, please contact Ron Hoenderdaal (+31- (0) 0346 - 212963) or Balloons4sale.eu through info@balloons4sale.eu. Complete kit G-ELEE has been stolen from Worsall near Yarm Stockton-on-tees (United Kingdom) between Sunday 15th and Monday 16th of July. Envelope: G-ELEE, Cameron Z-105, multicolour envelope, CN 4882. Basket: Cameron CB300-4A, CN BH1174 Burner: Cameron Sirocco CB2694, CN 0086/0172 Tanks: Worthington 59828J with brown cover, Worthington 59568J with brown cover, Worthington 59704J with brown cover, Cameron CB426 4411-6444 with red cover, Cameron CB426 4411-6447 with red cover, Cameron CB426 5441-7051 with blue cover, Cameron CB426 5441-7055 with blue cover Instruments: Altimeter/Vario in oak box. Inflation fan: Honda 8HP Inflation fan. Trailer: Westfalia twin axle trailer with registration plate SL58FLA. Type: 118651F521 Chassis Number: WWW128863YW437777 The trailer has a customized metal box at the front, very distinctive, plus steps at the rear. In here were: v-bridle, fuel hoses x3, helium cylinders, Bonanno Quick release, karabiners, tether rings, tyre pump, plus spares of just about anything else you would need on a launchfield. UPDATE: Trailer has been reported found abandoned but undamaged, with all equipment being still in the trailer. The equipment will be reunited with the legal owner soon. Only things missing are some small items which were stored in the box on the front of the trailer. 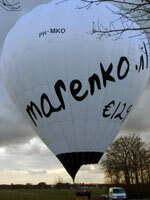 Last Tuesday, November 22nd, the next balloon has been stolen from a locked garage in the Netherlands. 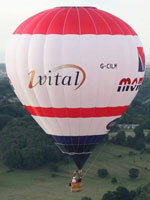 The balloon has been stolen including the trailer. A witness has described the thief: 'Dutch looking guy, black leather jacket, normal shaped, 1.85cm. Lightbrown, half long, kind of wide hair. Strange looking eyes. After nervous walking around, he got into the garage directly with key'. Half an hour later he was seen with a car and trailer. Probably this guy has been seen one day before as well. There are no signs of breaking the hitchlock. Envelope: PH-MKO, Kubicek BB45 (160.000 ft3). White envelope, large artwork 'marenko.nl', black scoop, CN 415. Basket: Kubicek K22 basket, 1.80 x 1.20m, not partitioned. Black suede top rim, dark blue sidewall padding (front side). CN 215. Burners: Cameron MK4 Burner CB579, CN S1816-S2079, Cameron MK4 Burner CB2075-2, CN B110-B111. Tanks: Worthington 12702J, Worthington 12843J, Worthington 21013J, Worthington 35045J. 2 of them are master, 2 are slave. Fan: Honda 4.5 HP. Trailer: Aluminium open trailer, locked with yellow hitchlock. UPDATE: After almost 4 years since theft, the equipment - in very poor condition - has been recovered by the Dutch police. During the night of 9-10 September 2010, an almost new Cameron 13 HP (Honda) inflation fan - manufactured 2010 - has been stolen in Zwolle, the Netherlands. UPDATE: Inflation fan recovered in suspicious circumstances after being offered on the internet almost 4 years after being stolen. Inflation fan is now back with its legal owners.